All Studio Art & Design students will need to purchase a laptop computer. This allows students to work seamlessly on their own computer in studio classes and computer labs. 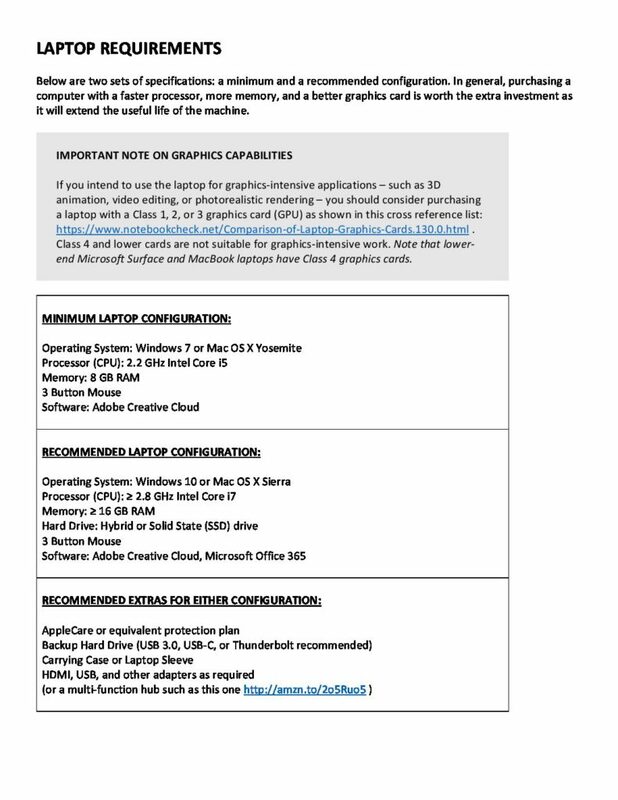 Please download the Art Laptop Requirement pdf for details.